Therapeutic journaling is a powerful tool that can help you heal from traumatic experiences or deal with the stresses of everyday life. 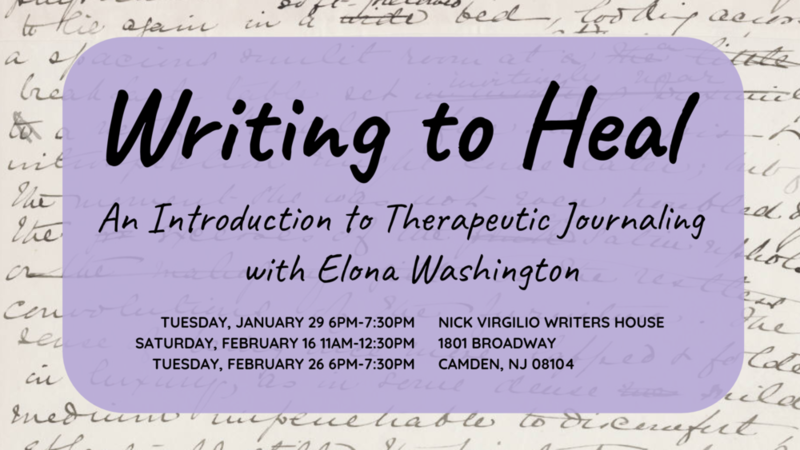 In this series of workshops, facilitator Elona Washington will guide you through processes and techniques that inspire you to write freely and deeply. You will leave with the tools and the motivation to start a regular journaling practice that can help you move towards healing, strength, and peace. Drop in for one session or attend two or three to deepen your practice. Bring your own journal if you have one, but basic supplies will be available. Light refreshments will also be provided. These sessions are free. While we appreciate it if you RSVP, you can also attend without signing up in advance. ELONA WASHINGTON is a transformative speaker, best selling author, and publisher. She’s also the host of the talk show, Power From Pain, which received an award nomination from the television studio four months into production. With an undergraduate degree from Howard University, Elona later obtained her Master of Science in Marketing Management from the University of Maryland University College. She has almost 20 years of corporate marketing experience but is a storyteller at heart. A native of Washington, DC Elona is a mother of two and currently resides in the Philadelphia, PA area.